The October 2019 Taurus horoscope predicts that career and outer success will be most important to you this month than family and emotional attachments. The Taurus personality is more concerned with his or her career because investments at this time are high and profits are promising. Others will take a big chunk of your time because they are more important than you. The Taurus star sign’s social skills will improve and get much better as the month progresses. The 2019 horoscope reveals that this is the year for you to achieve greatness and apply tremendous efforts in everything that you set to involve yourself in. But most importantly, Taurus, you should note that this success should first emanate from your family and career before anything else. The October 2019 horoscope reveals that Venus will influence your love life this month hence the prospects of finding love are high. You are a character who is forceful in matters to do with love and Taurus pregnancy. According to the Taurus sexuality, the singles will have an easy time getting partners because their social skill will not let them down. Based on the monthly horoscopes, this month will see your family go through a lot of difficulties including financial strains and indiscipline from Taurus children. It will be up to you to help the family out of the mud and plan wisely as to how to handle the difficulties arising. According to the Taurus star sign predictions; this month you will have fabulous health that will go on until the 23rd when you will experience minor illnesses such as the flu and minor stomach aches. You will have to eat a balanced diet in order to keep the minor illnesses away. According to the Taurus yearly horoscope 2019, this is the year of change for you. You will explore other career options other than what you are doing now. You have a lot of talents that you are yet to explore and this will be the month for you to do so. Taurus 2019 October horoscope shows that your financial aspects this month will be difficult to achieve because even though your career may be doing great but there are only promises as to what to expect financially. The Taurus October 2019 forecast reveals that this month you will have difficulties with your education. The stars are not aligned to bless you. Hence, you will have to work harder in order to achieve your goals and objectives. You will need the help of tutors in order to alleviate your grades. 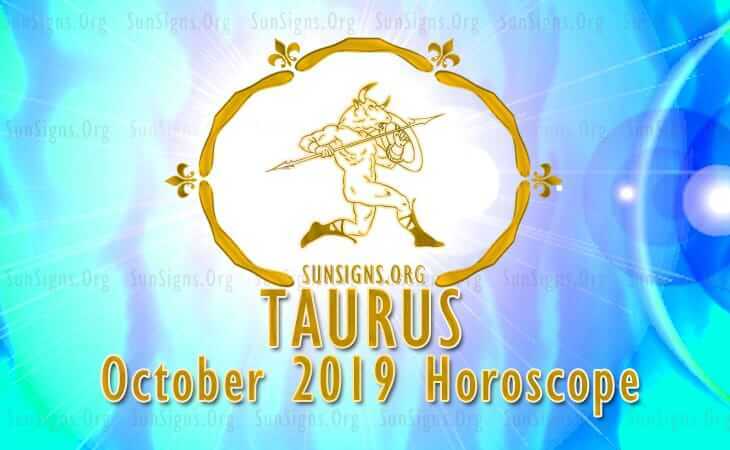 The Taurus predictions for October 2019 foretell that this will be the month in which you travel due to obligations even if you did not intend to. The travels may also not be of any help since they will not help you in achieving your objectives. Refer to Chinese Horoscope 2019.